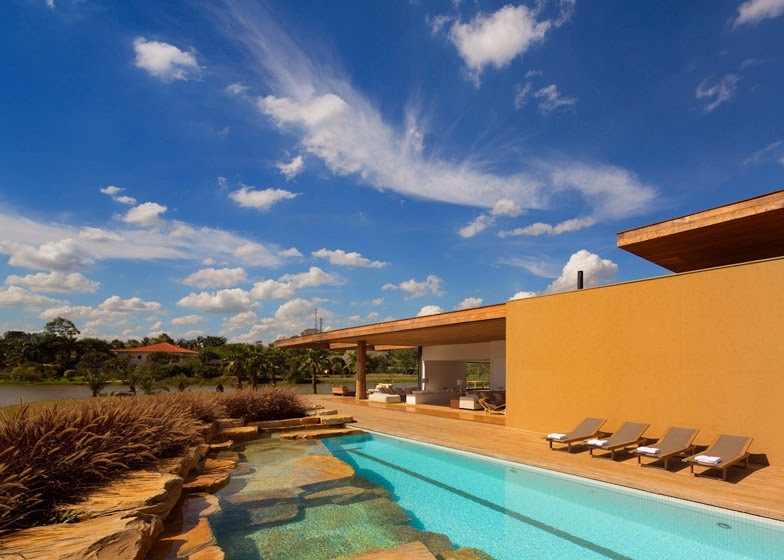 Casa Itu, located outside São Paulo, is a family house designed by Brazilian architects Studio Arthur Casas. 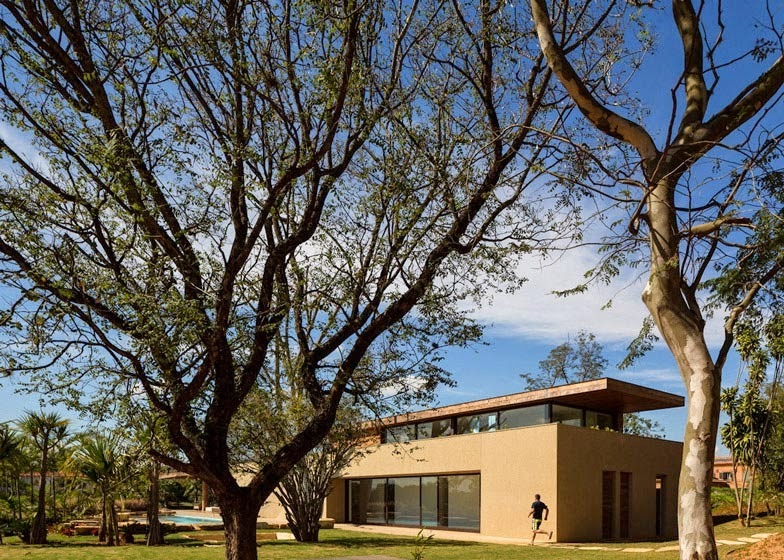 The building takes advantage of its prime position on the banks of a small lake and the its form around an existing large yellow pie tree. 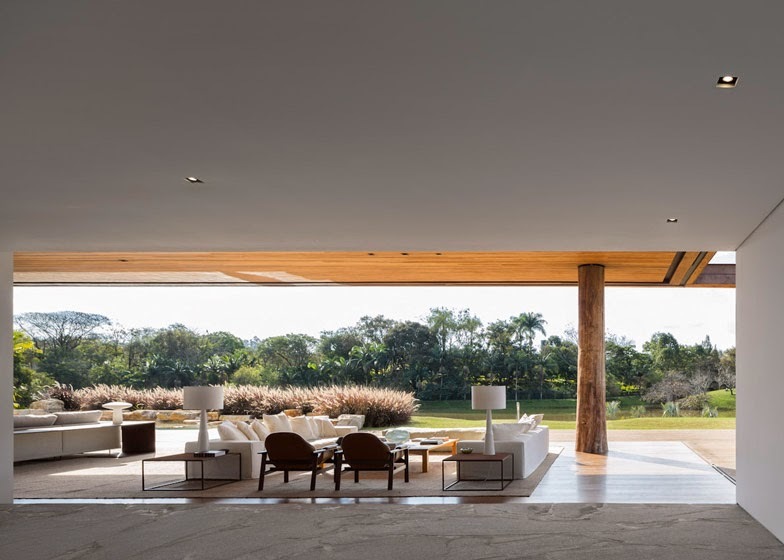 An minimal, earthy materials palette of sandy-coloured render, Brazilian teak wood and large glass openings that slide completely into the walls merge the house with the surrounding landscape. 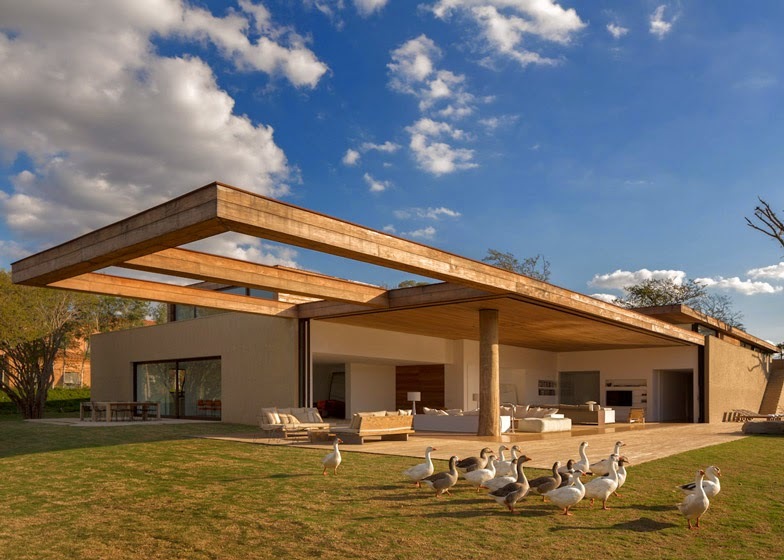 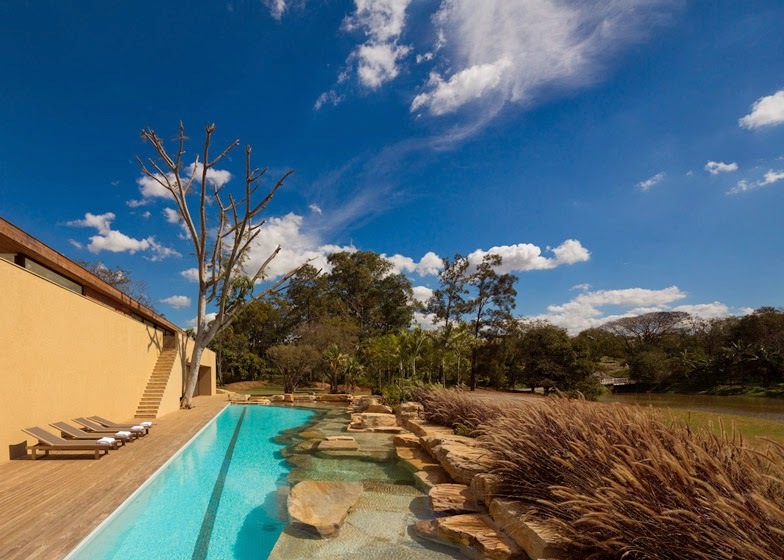 Located about an hour from São Paulo, the house in Itu is a refuge for a young couple with children. 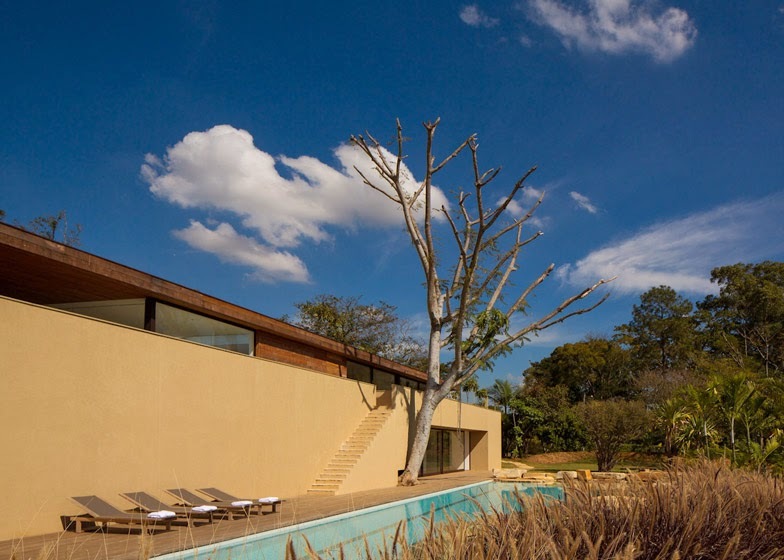 A prime position on the banks of a small lake and the presence of a large yellow-ipe tree led us to create a house that takes maximum advantage of the landscape. 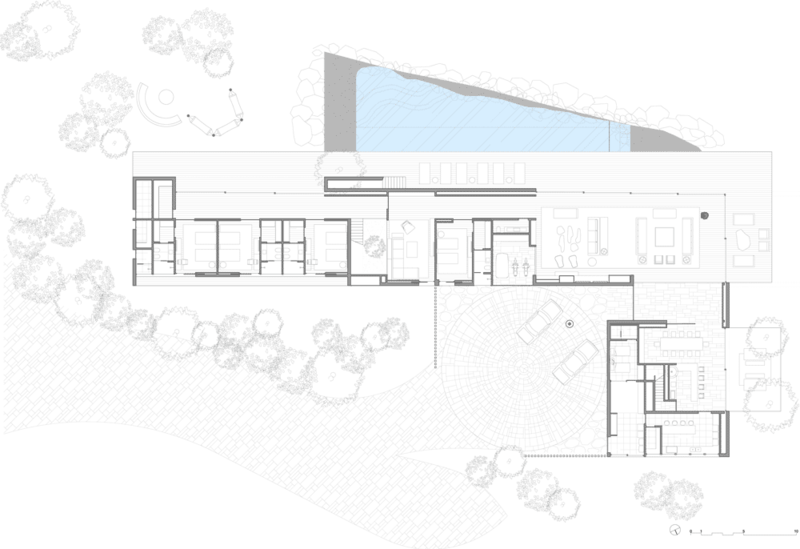 The floor plan in L shape divides the house in a simple way: the main volume contains the childrens' room in the ground floor, a courtyard next to the home theater forms an intimate living room, a large living room opens onto the terrace and garden, erasing the boundaries between inside and outside. 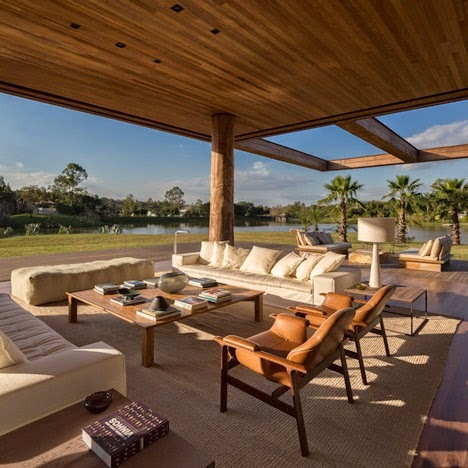 Above this volume are situated the master suite and a gym. 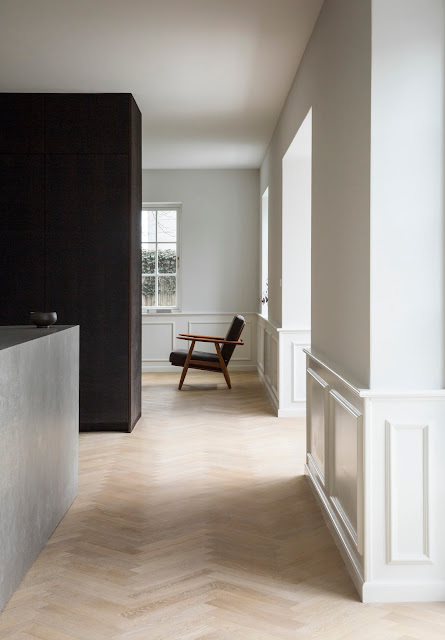 In the secondary volume are the dining room, kitchen and the service areas. 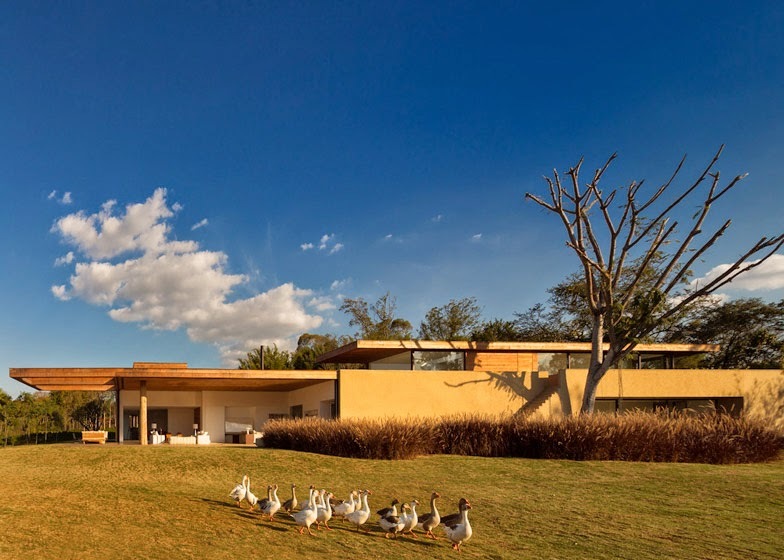 On the first floor of this volume are the guest rooms. 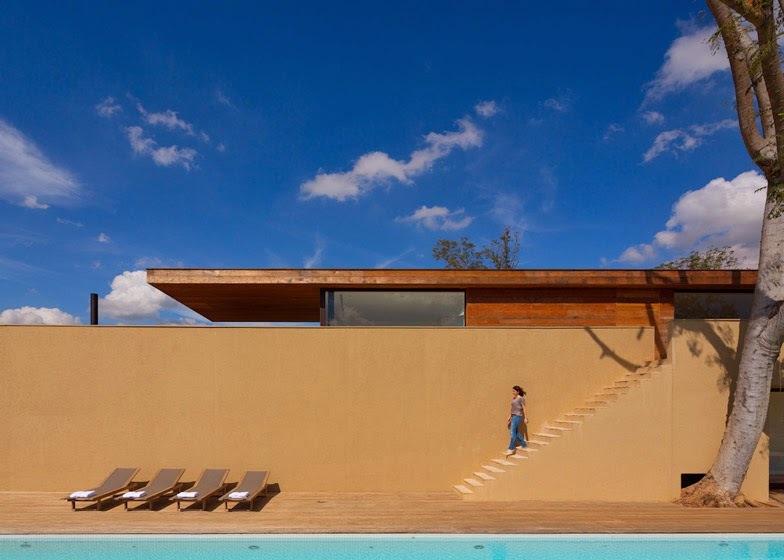 The house is marked by horizontality and fluidity between the spaces. 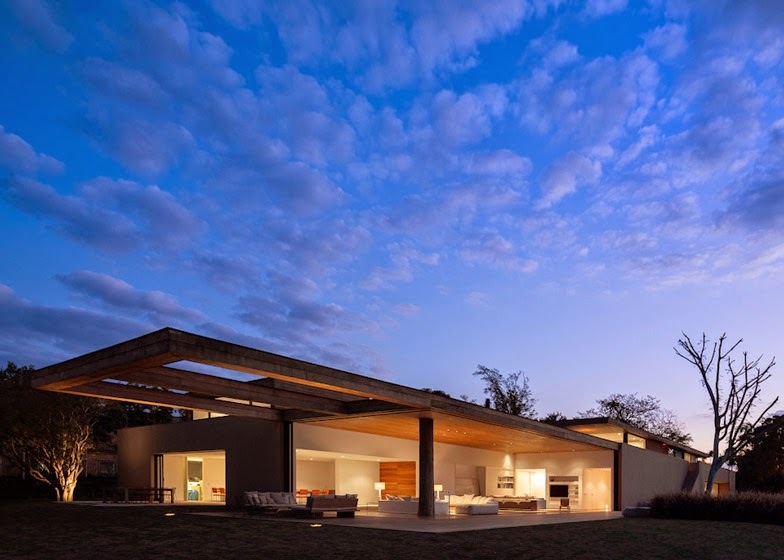 The entry is made at the point where the two volumes converge; a low-ceiling guides the look to the external landscape. 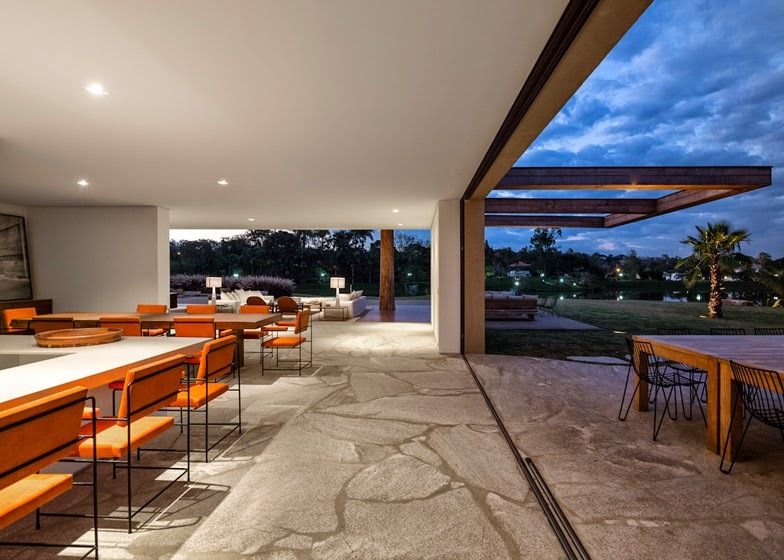 On one side the stone floor of the dining room goes towards the terrace, gradually merging into the garden.The living room is at a slightly lower level and has a higher ceiling. 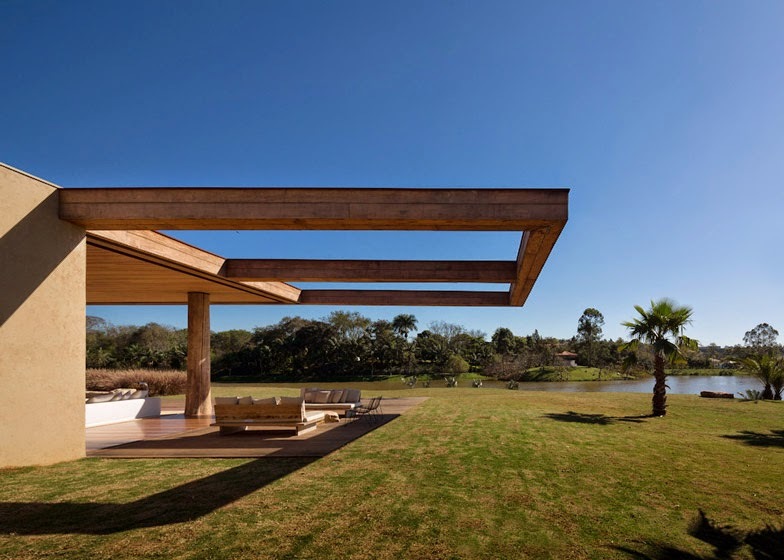 A tree trunk dominates this space, covering the single column present in the room. 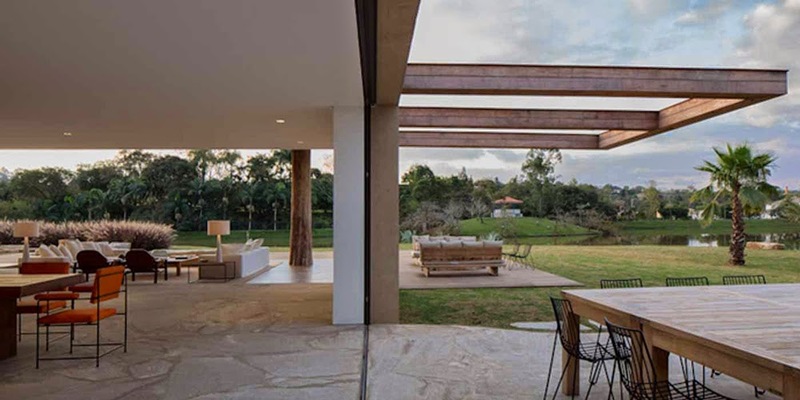 The windows slide completely and are hidden inside the walls, bringing the terrace and landscape into the house. 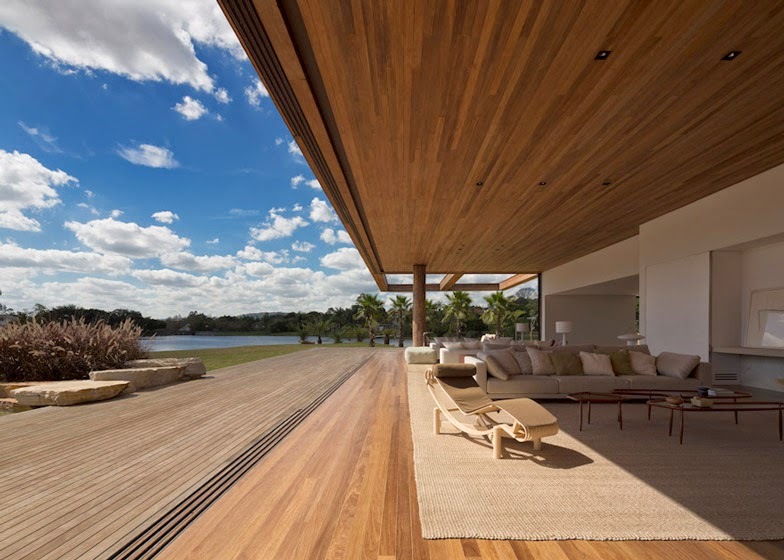 The wood floor and ceiling give a warm and domestic aspect to that space that is merged with nature. 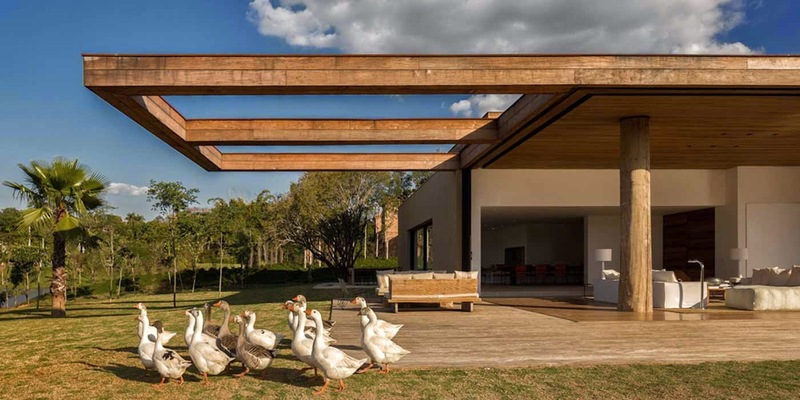 A second terrace room was created under the pergola in continuity with the living room. 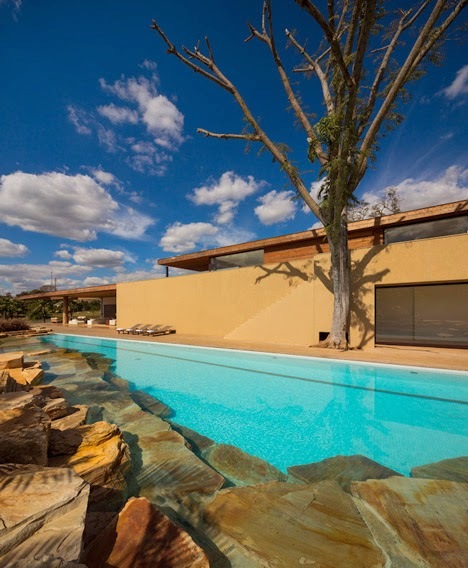 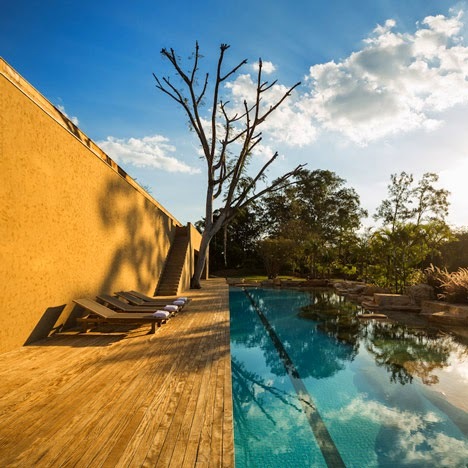 The whole side of the volume is dominated by a large wooden deck and a swimming lane, integrated with the landscape by rocks that penetrate the pool. 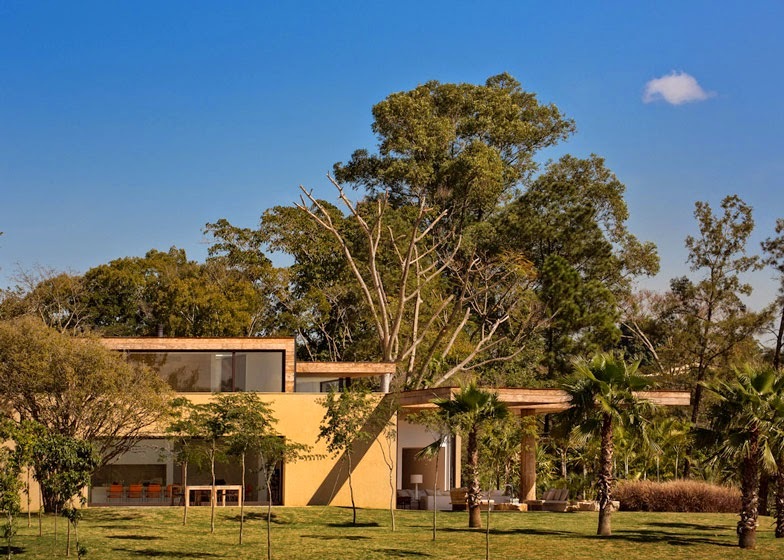 The old yellow-ipe tree was preserved and merges with the architecture; a staircase was created aligned with that tree to connect the deck with the first floor. 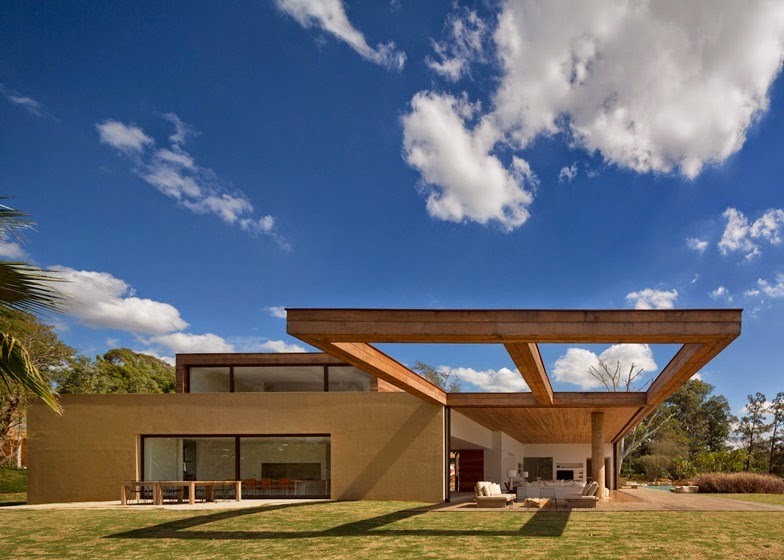 Several pathways are possible between inside and outside, being one of the most strong characteristics of the plan. 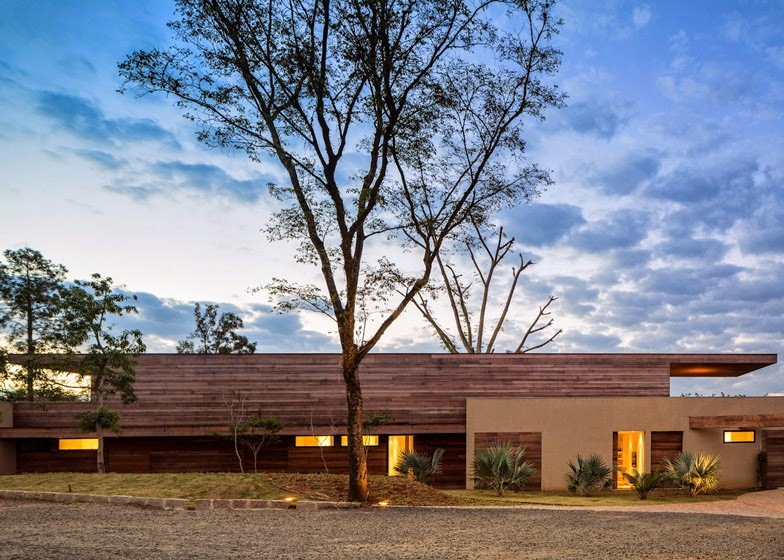 Covered in cumaru wood and painted with a colour that uses the local earth, even though it contains a large volume the house holds a discrete insertion in the landscape, its strong horizontality in dialogue with the tree canopies that surround the site.